Looking for Birmingham City University? Studying in Birmingham? 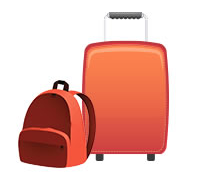 Send your luggage with My Baggage – The No.1 Student Shipping Company. If you’re studying at university in Birmingham, My Baggage can help. We provide fast, low cost and convenient student shipping to and from Birmingham. No matter where you’re travelling from, My Baggage can help. We provide a door to door luggage delivery service to and from all home addresses and university campuses, across the UK and throughout 200+ countries worldwide. Birmingham University is a highly esteemed academic institution which attracts students from across the UK, Ireland and across the globe. Students flock there year upon year to study at the renowned university and spend time on one of the UK’s most vibrant cities. Birmingham itself, has a very open and multicultural vibe, meaning anyone can feel right at home there. The city is also home to Birmingham City University, Aston University, Newman University and University College Birmingham. If you’re off to study in Birmingham, My Baggage is the most convenient and cheapest way to transport your luggage to and from your uni accommodation. Simply visit our homepage to get a quote. Enter your address details along with the size and weight of your luggage. Complete your booking by paying online. It’s that simple. After you’ve booked with My Baggage, we’ll do the rest – our door to door service means we will collect your luggage from you and deliver it straight to where it needs to go. We collect from and deliver to all home addresses and university campuses in the UK and to 200+ countries worldwide. If you are in a house or flat, we will come straight to your front door. If you are in halls of residence at Birmingham University, we will collect/deliver your luggage at the halls reception or designated postal area – please check this location with your halls of residence before you place your booking. Fast delivery within the UK and Worldwide. Full online tracking, with SMS and email notifications. When you hand your luggage over to a student shipping company, you want to know that your belongings are in good hands. 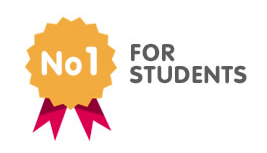 As the No.1 Student Shipping Company, trusted by 30,000 students worldwide, we can assure you that your luggage is safe with us. We provide full online tracking to give you extra peace of mind and out customer support team will answer any queries via phone, email and live chat. My Baggage also provides £100 free compensation cover per item. You can increase this up to the value of £1,000 for a small additional fee during booking, if you wish. Before choosing your cover, we recommend taking a read through our list of prohibited and non compensation items. If you’re an international student, or perhaps on a year abroad, My Baggage can help you get your luggage to and from Birmingham University. We offer collection from and delivery to 200+ countries worldwide, at a great low cost. Obviously the best thing about My Baggage is that our service is cheap to suit a student budget! It costs from as little as £16.99 to send a 30kg suitcase. We also have a very handy ‘Price Match‘ service on our website, so if you do happen to find a cheaper alternative elsewhere, let us know and we’ll try to beat it. 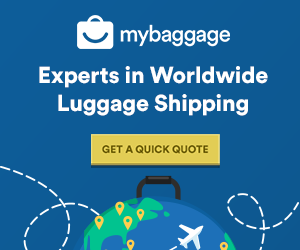 Want to find out if My Baggage can help you? Get a quote now!